With the 2018 Grammys just over a week away, slated to take over New York City's Madison Square Garden on Sunday, Jan. 27, the performance list is turning out to be the gift that keeps on giving. As previously reported, Kendrick Lamar and U2 were both added the line-up earlier this week, with Rihanna, Bryson Tiller and DJ Khaled the latest to confirm they'll be adding to the allure of the biggest night in music. 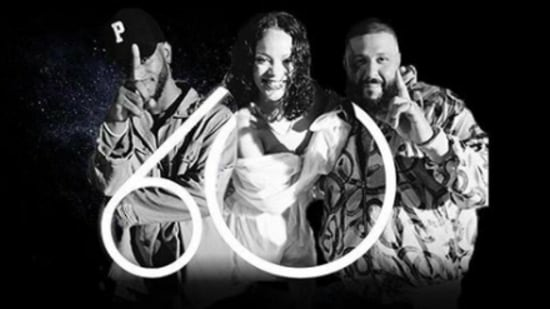 Taking to Instagram, DJ Khaled confirmed the news, sharing that Rihanna and Bryson Tiller will join him onstage for a rendition of their smash collaboration, "Wild Thoughts." Cardi B, Bruno Mars and SZA were also announced as additions to the bill, joining the likes of Childish Gambino, Lady Gaga, Pink, Miley Cyrus, Logic, Elton John and country group Little Big Town. This year's celebration is hosted by James Corden and will air live on CBS, beginning at 8pm ET. Take a look at DJ Khaled sharing the good word below. REVOLT News | DJ Khaled enlists Rihanna and Bryson Tiller for "Wild Thoughts"